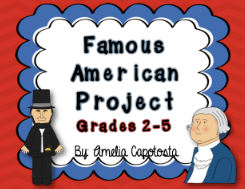 Every year the biggest hit in my classroom is our Famous American Project! In fact, I think I've had to answer a thousand questions already about it and we don't do it until March! I am so glad that this product is being featured in Educents American History bundle so more teachers and students can enjoy the fun! 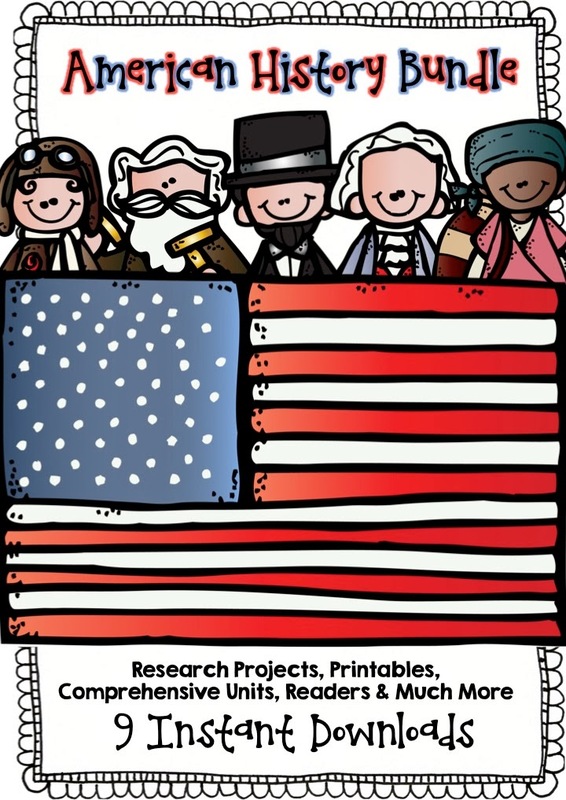 I am very excited to be included in this bundle with Educents is loaded with American History goodies for 1st through 4th grade! 66% off the regular retail value and over 400 pages! Hurry it won't last! I know you will love my Famous American Project. There are many other products in our bundle to get your kids learning about America! Comprehension passages & questions, timelines, vocabulary, maps, research projects, readers and so much more! We have all linked together to show you exactly what's included in this bundle. So hop along to the next person to see the next product!